Born in Ireland, Samuel Beckett wrote almost exclusively in French after moving to Paris in 1939. He would then translate his novels and plays into English. Personnellement je n’ai rien contre les cimetières, je m’y promène assez volontiers, plus volontiers qu’ailleurs, je crois, quand je suis obligé de sortir. 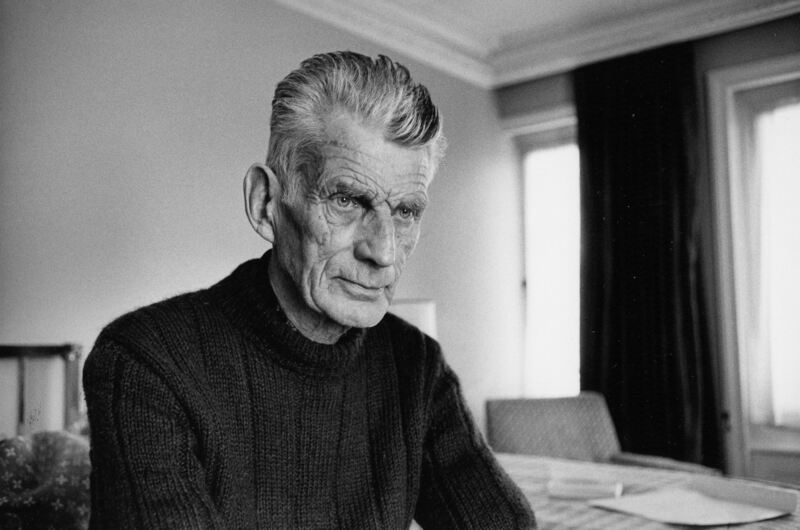 John Minihan: Photograph of Beckett in room 604 of the Hyde Park Hotel, London, 1980. This entry was posted in Uncategorized and tagged 1940's, 1970's, 1980's, 20th Century, Books, Death, France, Ireland, John Minihan, Language, Photography, Portraits, Prose, Samuel Beckett, Translation, Writing. Bookmark the permalink.